American journalist; born in Philadelphia Nov. 9, 1828; educated at the University of Pennsylvania, Philadelphia, whence he was graduated in 1847. Shortly afterward he set out for Europe, where he continued his studies and engaged in journalism. 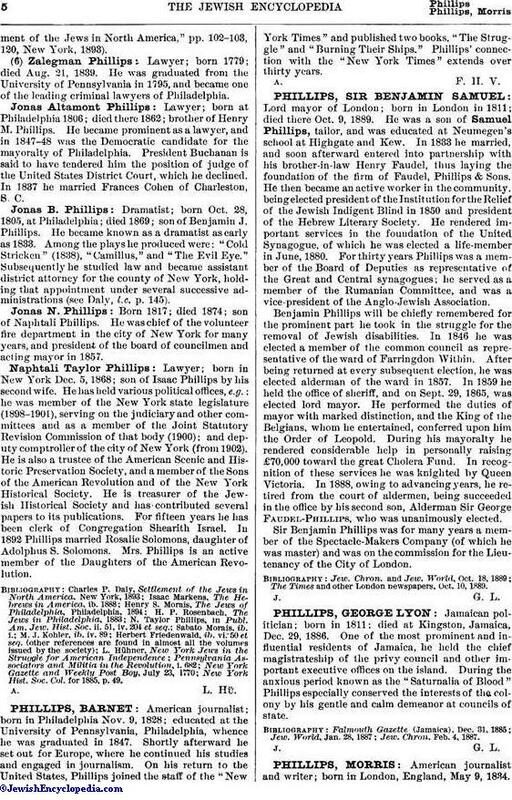 On his return to the United States, Phillips joined the staff of the "New York Times" and published two books, "The Struggle" and "Burning Their Ships." Phillips' connection with the "New York Times" extends over thirty years.